Achieve beautifully clean, healthy and radiant skin with Oriflame’s 3-in-1 SkinPro Sonic System. 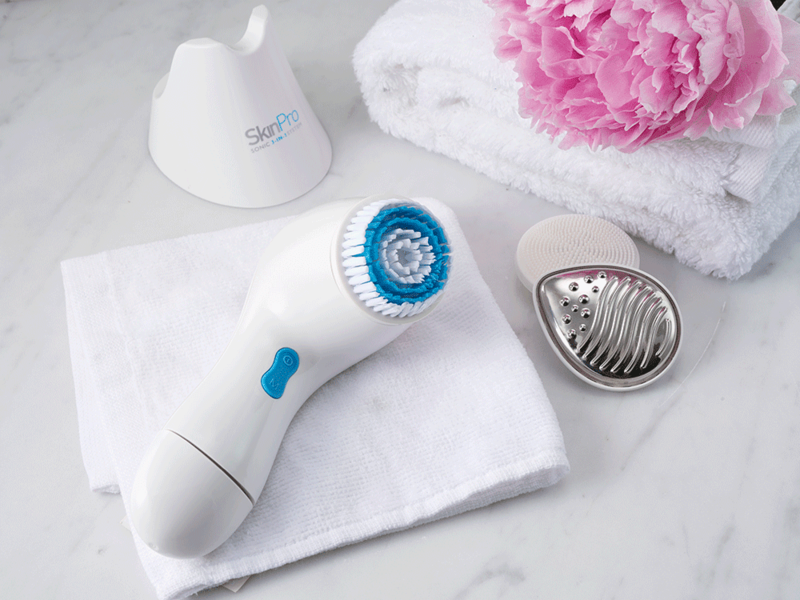 With sonic technology, this cleans brush, exfoliates and massages the skin for spa results, from the comfort of your home. What do you think about being able to cleanse, exfoliate and massage the skin with just one device, obtaining results you can see and feel – clinically proven results. If you liked the SkinPro Cleaning Brush , you’ll love this one! With three programs and three brushes of your choice, you can easily adapt your face care to a new level and enjoy the most beautiful and healthy skin ever. Clinically proven: visibly and effectively removes make-up, excess oil, impurities, dust and other pollutants *. * Clinically tested with all three brushes with a cleansing foam and a moisturizing cream. Sonic technology. Facials with sonic technology are in vogue – with a wide selection of cleaning, exfoliating and massage brushes with this technology – you’ve probably seen them everywhere. 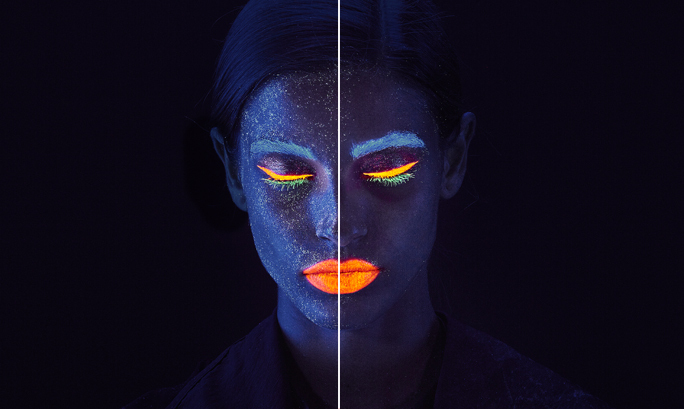 What does sonic technology do for your skin? If you use a sonic toothbrush you will know that it provides a more effective cleaning of the teeth than the traditional toothbrush. Facial appliances with sonic technology have exactly the same approach. High-frequency vibrations against the skin agitate the impurities and help improve blood microcirculation, improving its firmness. To show the difference that sonic cleaning can make to your skin, Oriflame has compared manual cleaning with sonic cleaning using Oriflame’s 3-in-1 Sonic Cleaning System. She applied high-gloss make-up on the face of the model and performed the manual cleaning on one side of the face and with the SkinPro Sonic purifying cleansing brush on the other. See the difference well! Use daily. We recommend the 60-second Automatic Facial Program. 1. Manually remove eye makeup with eye make-up remover. Do not use the appliance in the delicate eye area. Moisten the face and cleaning brush with lukewarm water. 2. Apply a little face cleaning on the skin or directly on the brush. Do not use cleansers that contain exfoliating particles. 3. Turn the power on and select the program you want to use. Press the brush gently on the skin and make circular movements. Avoid the eye area. You will feel a slight vibration. 4. When you finish the program, rinse the face with lukewarm water and dry with a soft towel. Wash the brush and let it dry naturally. Use the cleanser instead of cleaning the skin manually, every day, and see the difference! You can use your cleaning gel or cream – however you can not use a cleaning with exfoliating particles. Carefully read the instructions for use included with the product. Moisten face and brush. Apply a little face cleaning. Select the program you want to use (we recommend the 60-second automatic facial program). Press the brush gently on the skin and make circular movements. Avoid the eye area. Rinse and dry. Exfoliate the skin after cleaning – once or twice a week, depending on the device. Like the cleaning program, you can use your gel or cream cleaner as long as it does not contain exfoliating particles. Carefully read the instructions for use included with the product. You can use this sonic device to massage your serum or moisturizers on the skin every day or whenever you need a relaxing skin care – this is a step you will not want to miss! To see a step-by-step guide to the different programs, click here. Indicated for the face, jaw line, neck and neckline. Apply the usual moisturizer and let it absorb. Turn on the device and select the program you want to use. Press the brush gently on the skin and make circular movements. Avoid the eye area. For best results, use daily. 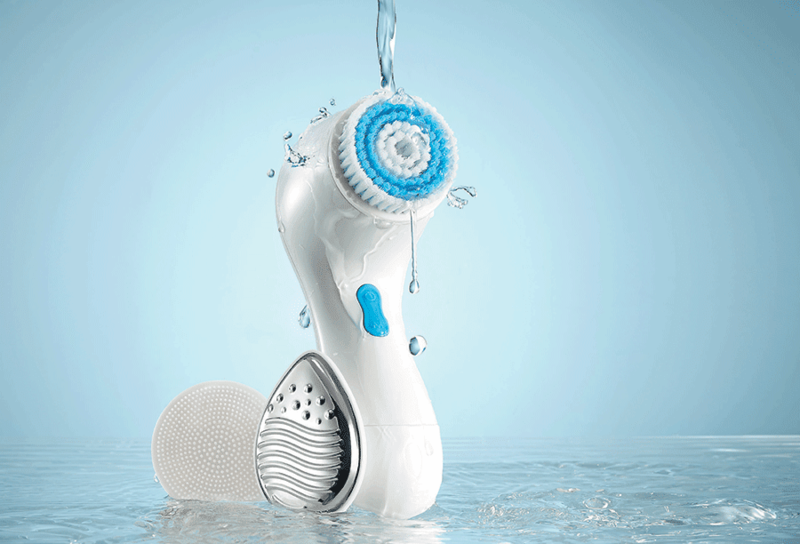 3 in 1 face cleaning system with sonic technology for cleaner, younger and radiant skin. The appliance operates on batteries and has three brushes: cleaning brush, exfoliating brush and massage brush. Three programs to choose from, including an automatic 60 second program. Requires 2 x AA batteries (not included). Appliance 15.8 x 5.8 x 5.8 cm, ABS. Diameter of Cleaning Brush 4,77 cm, PP and nylon bristles. Silicone Exfoliating Brush, diameter 5 cm, PP and silicone. Metal Massage Brush 6.1 x 5 cm, PP and stainless steel.